Supported by a team of dexterous professionals, we have been able to manufacture, supply and retail a comprehensive array of Hydraulic Quick Release Couplings. 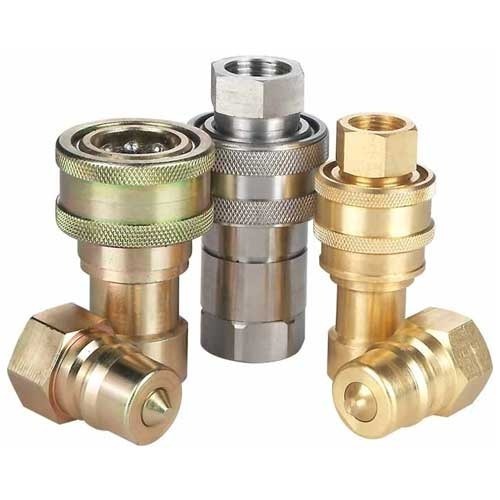 Since our establishment in the year 1980, we, “Accurate Industries”, are one of the leading manufacturers, distributors and traders, engaged in offering a commendable range of Hydraulic Hoses and Fittings. The range offered by us encompasses Hydraulic Hoses, Industrial Hoses & Water Hoses. To manufacture these products, we make use of high-grade materials and basic components that are obtained from the accredited vendors of the industry. Moreover, providing customization facility for these products, we aim to attain maximum client satisfaction. Backed by a skilled and dexterous team of professionals, we have been able to cater to the exact requirements of customers in efficient manner. Our team is well-versed in their respective domains and carries out the entire production process, without leaving any scope for defects. Apart from this, we have a separate team of logistic personnel, which ensure to dispatch the entire range on-time to the clients' premises. We are dealers of brand name such as Parker Store, Gates, Aeroflex, Alfagomma, PIX and Superseal.